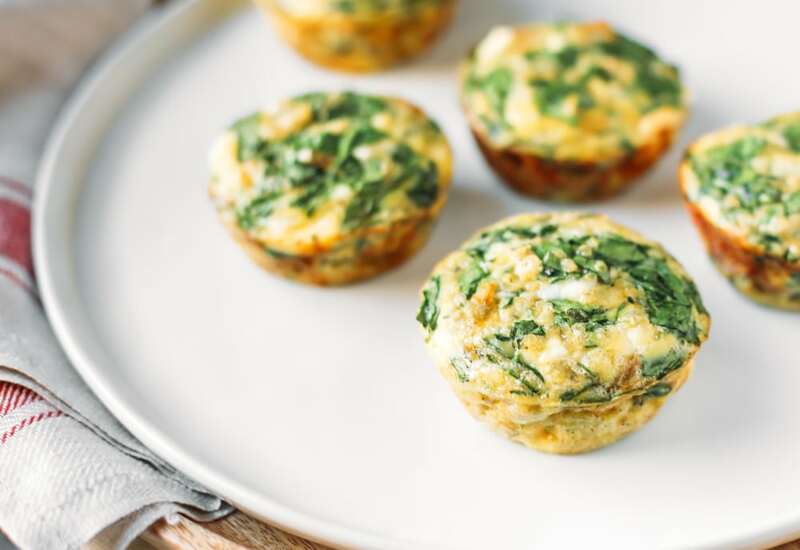 Prepare this savory muffin recipe ahead of time for a great protein-packed breakfast on-the-go, a post-workout munch, or an anytime snack. These are easy to make and sure to satisfy both your hunger and your taste buds. These can be refrigerated in an airtight container for up to a week or frozen for up to a few months and be reheated in the microwave or toaster oven. For a distinctly more Mediterranean flavor, try adding ¼ cup each of chopped sundried tomatoes and Kalamata olives to the mixture before baking. Per Serving: 115 calories; 7g fat; 6.4g carbohydrates; 7g protein; 123mg cholesterol; 418mg sodium. The muffins were pretty good! I feel a slightly creamier cheese would be best for these, even though the flavor of the feta was fine. These would probably be better with a creamy goat cheese or a provolone which I will definitely try out next. These egg muffins are really good. I've made them twice already, and the second time I added diced peppers for some added spice. Quinoa is so versatile and I love the way it's used in this recipe. I love these egg muffins! Yes, they're convenient and easy, but they're also really great. The spinach and feta cheese together are my favorite.